The psychology department has been awarded a grant from the U.S. Department of Education. 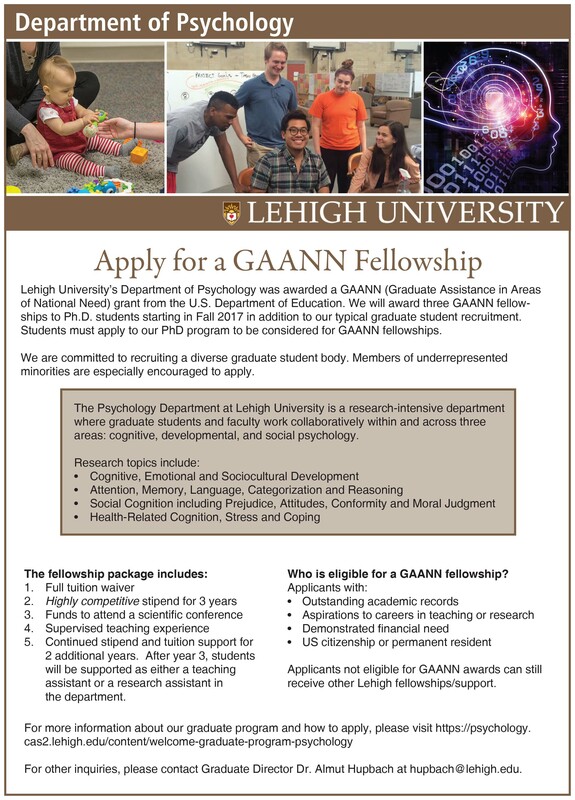 We will award three fellowships for recruiting graduate students as a result of this award. These fellowships will be awarded for the academic year 2017-2018 and are in addition to our typical graduate student recruitment. Please see the department home page for directions on how to apply.